Vertical cuttings dryer and decanter centrifuge are main equipment in drilling waste management system. They are used to make the drilling waste cuttings much dryer and recover more drilling fluids for reusing. 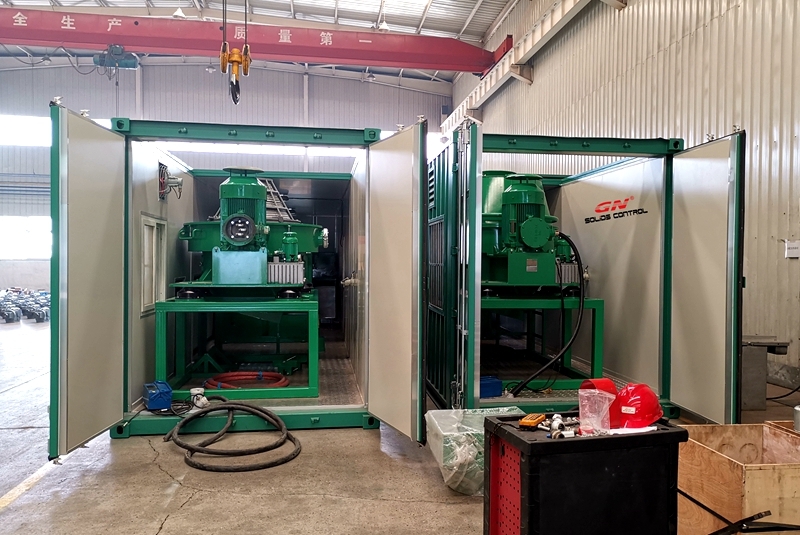 By using the cuttings dryer, the drilling company could reduce the drilling cost on consumption of drilling fluids base liquid. And the discharged much dryer cuttings could be easily transported. In the same system, cuttings dryer and centrifuge are installed in the same line but one after another in working procedure. Vertical cuttings dryer is always located beside the solids control system. Fed by the auger conveyer, the cuttings dryer treat the oil based drilling cuttings with capacity of 30-50 tons per hour. Cutting discharged from primary solids control shale shaker is always wet with flow-able fluids. After treated by GN vertical cuttings dryer, the oil content on cuttings will be less than 5%. 3. High pressure air knife prevents screen from blocking when processing high viscosity material and circled flushing system to avoid liquid channel block. 4. Oil lubrication system for with alarm for pressure limitation. 5. Main motor and oil pump motor interlocked to ensure correct start up procedure for operator. 6. VFD control available to speed ranging 0~900RPM. GN solid bowl decanter centrifuge in waste cuttings system is used for further polishing the effluence discharged from the vertical cuttings dryer. 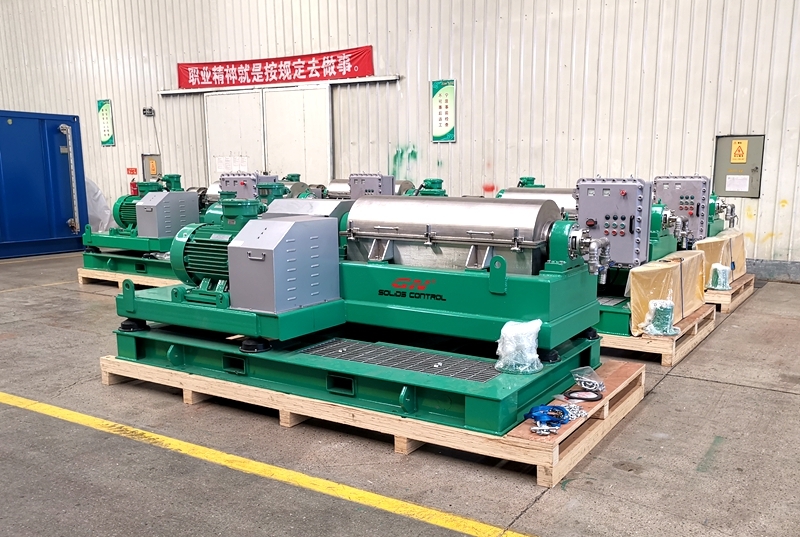 With the working speed up to 3200RPM, GN decanter centrifuge can remove the solids with size of 2-5 microns in drilling fluids to recover the fluids property. GN 14 inch bowl decanter centrifuge is widely used for oilfield application for barite recovery and drilling cuttings dewatering. It is also both fixed speed and VFD model available for customer’s option. The adoption of duplex stainless steel and centrifugal casting technology for the bowl guarantees the machine stable performance and longer lifetime. GN is able to provide customized waste cutting management solution like containerized design for cold weather application and easy transportation as a module. For more information, feel free to contact with GN Solids Control. CopyRight © 2013 GN Solids Control , All rights reserved.